I’ve come to the conclusion that there are two types of people in the world- over packers and under packers. I’m sure it only takes you about point five seconds to place me squarely in the over-packer camp! 😉 Ever since I was a little girl I would stuff my luggage to max capacity & then pout when I couldn’t fit my additional purchases in once on vacation (and not much has changed!) ha. However, now that my travel schedule has revved up and I’m gone at least once a month, this jet-setter doesn’t have time to deal with all the unpacking that is the byproduct of over-packing! 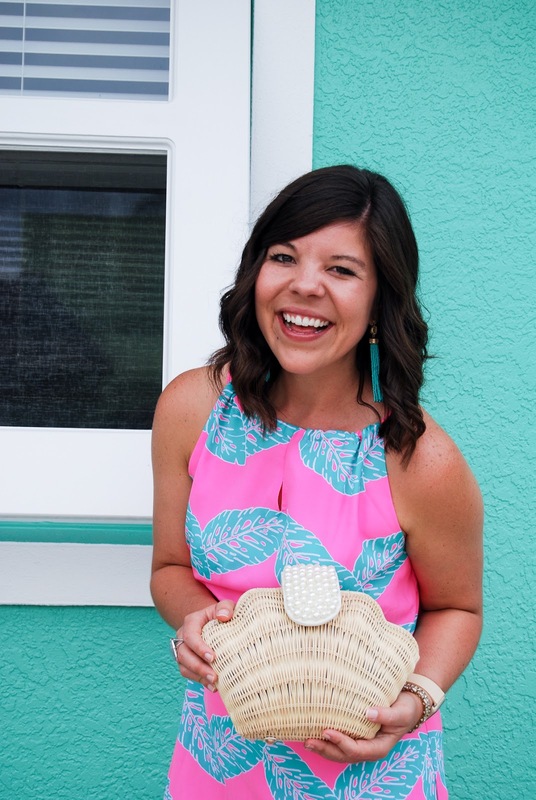 Luckily, I’ve found the most darling line that solves ALL your problems (or at least answers, “what do I wear on a tropical vacation?”). Enter, Britt Ryan! 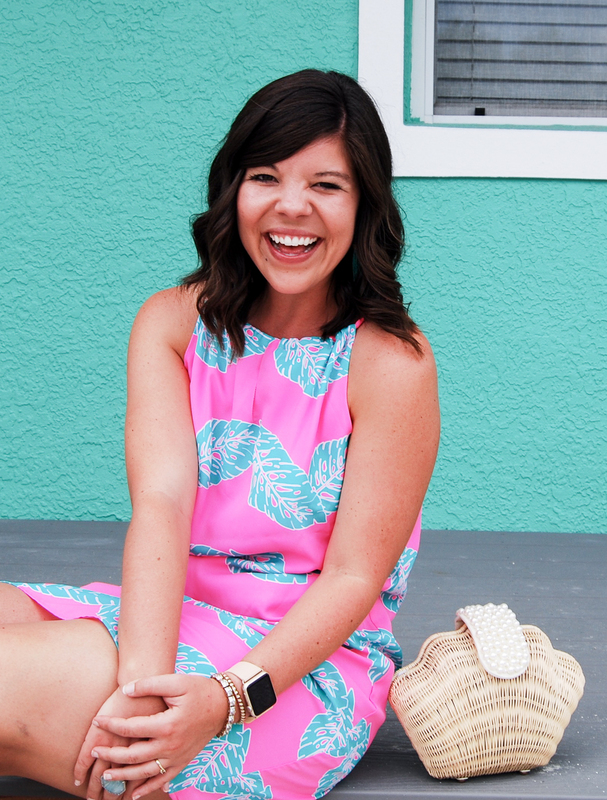 Colorful, fun, bright, happy & a little sassy… that both sums up my style & Britt’s. 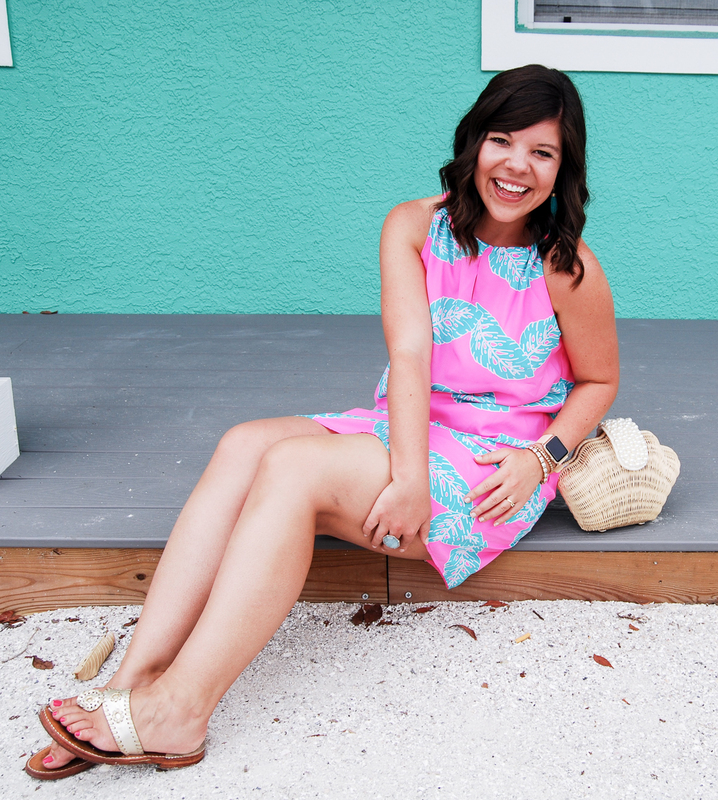 The second I opened this palm print dress I knew it was begging to be worn on my girl’s trip to Anna Maria (sidetone: how amazing is the house I found which perfectly matched my look!!). 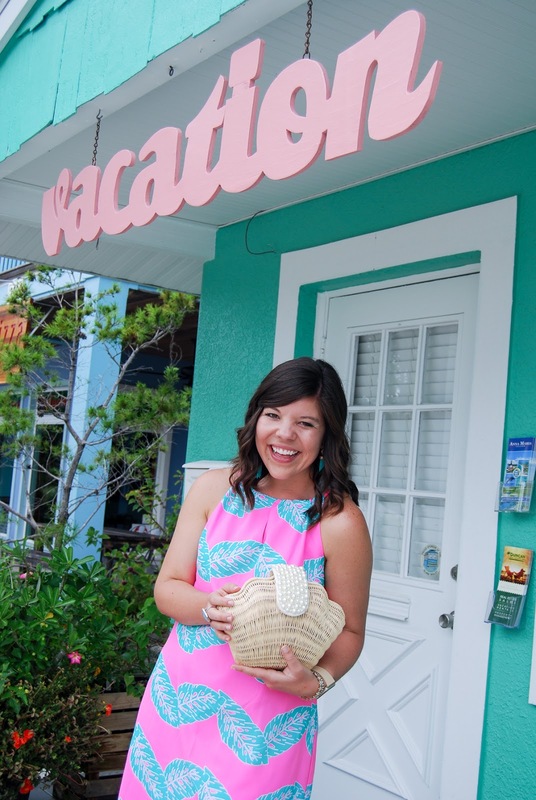 Anna Maria is such a colorful island- you can’t wear dull clothing! 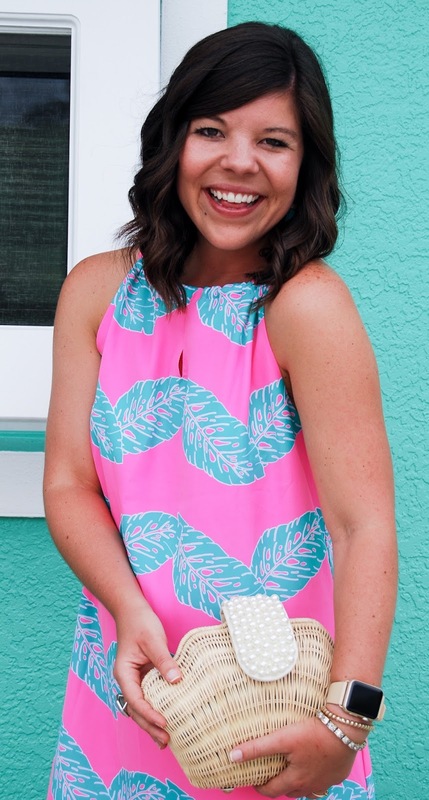 Since I knew I was going to wear this dress it eliminated the need to pack 1001 options in my weekender bag- this dress beat out any other choice! So which camp do you fall into: over-packer or under-packer? And are you dying to visit Anna Maria? 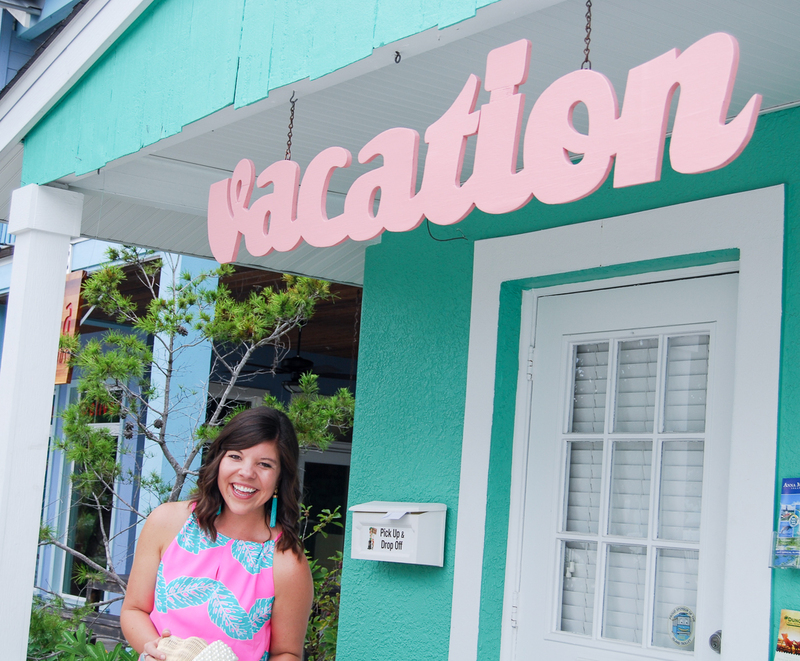 I can’t wait to share my travel guide with y’all! Thank you to my talented friend, From a Southern Point of View, for capturing these happy photos that I will cherish! This is the cutest print! It really makes me want to be on vacation! And I love the colors, adorable girl! 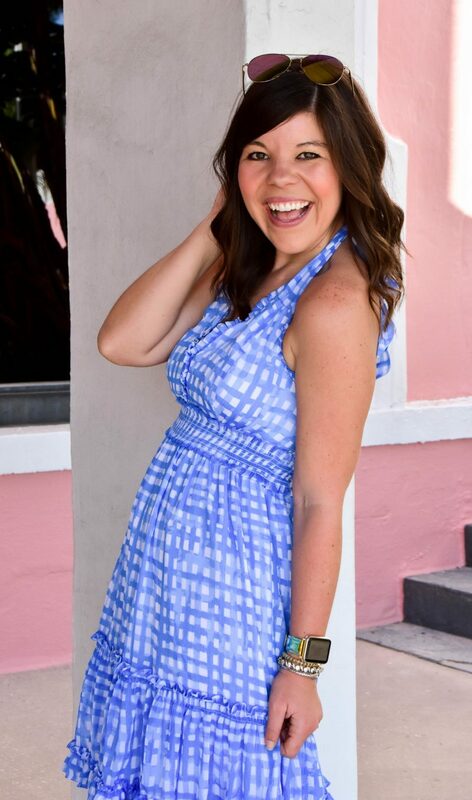 The colors of this dress look absolutely amazing on you Gentry! 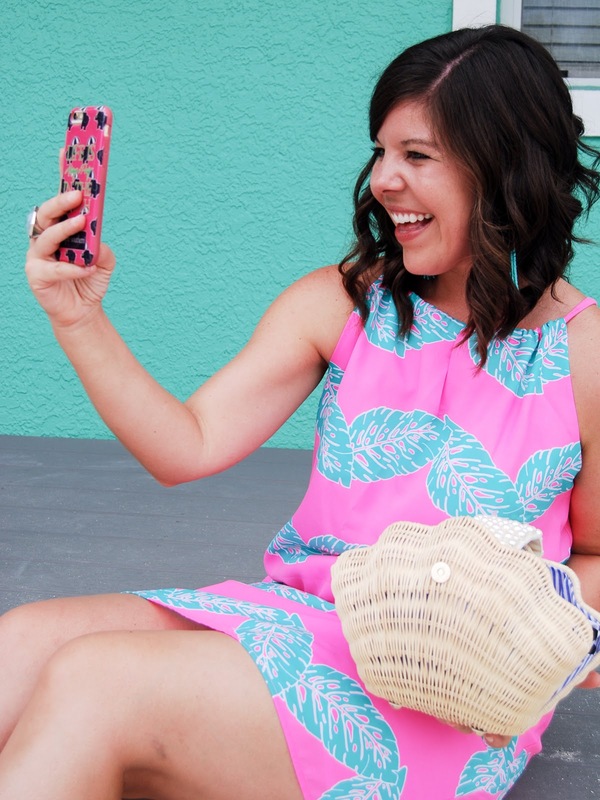 What a fun dress to take on vacation! Awww this dress is so fun and cute!! I love how you paired those adorable earrings with it! Twins again – I used to overpack so badly and now there is just no time for that! I try to pack just exactly what I need. These photos are gorgeous from the dress to the earrings to the wall – so nicely coordinated! 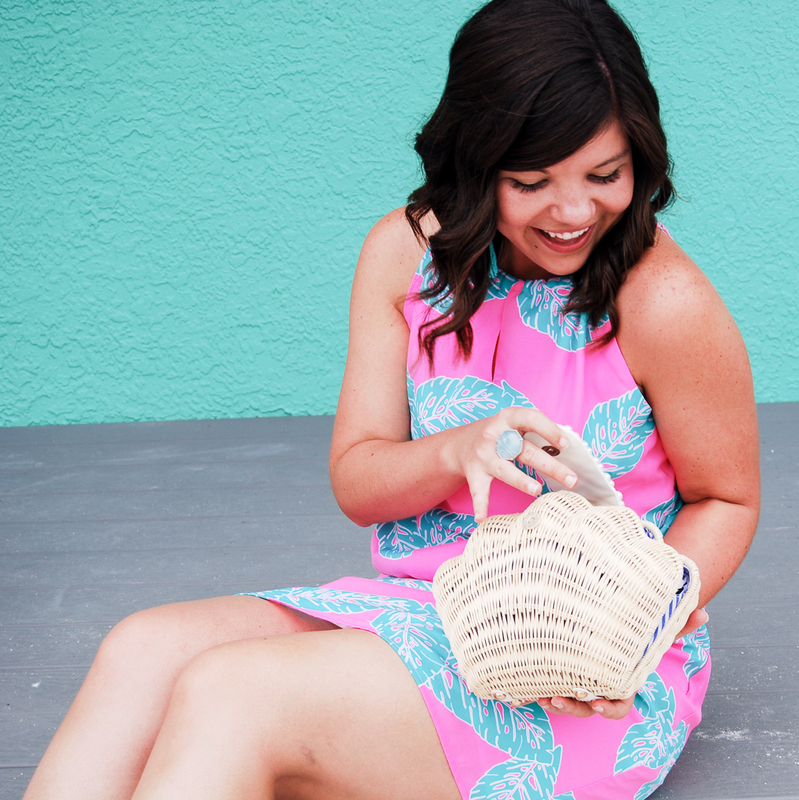 Seriously, this dress is so cute! Love how you styled it also! Love the look 🙂 You are simply gorgeous ! Love the colors in this dress! We're going to Anna Maria Island for our honeymoon, so I can't wait to hear what you thought about it! That dress is so cute! I've never heard of that brand before. And seriously you could not have picked a better location to shoot, it's as if that sign and house were painted for you! Hah, is it even possible to pack the perfect amount of clothing!? I've always overpacked! Better to be prepared, I say. 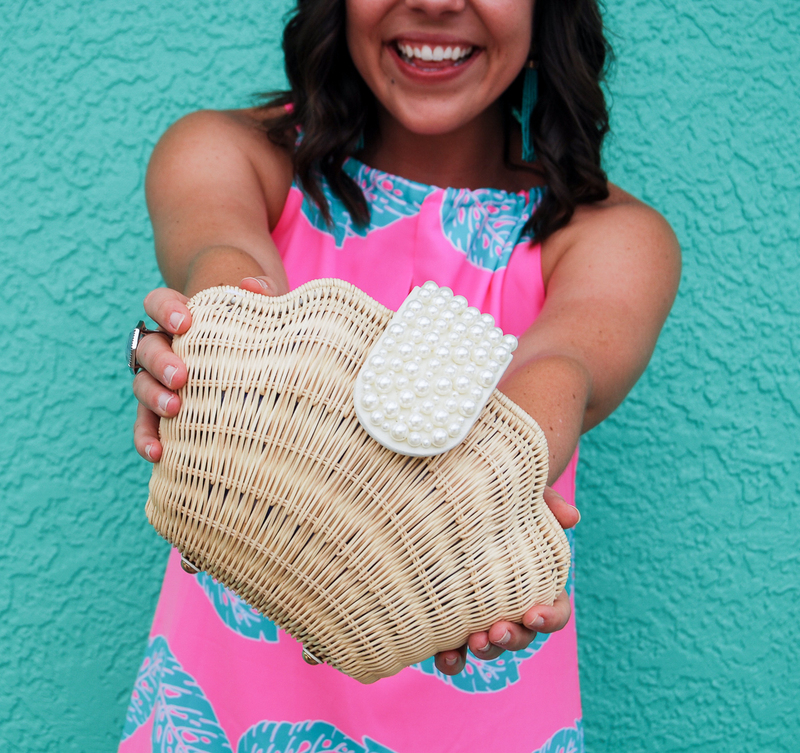 And oh, Anna Maria! I haven't been there since I was a kid! We loved visiting. I had forgotten how colorful it is. That title is so on point. This look screams vacation!! This is the cutest dress! I am squarely in the overpacking camp too — my dad used to limit me to two suitcases when I was a kid, hah!